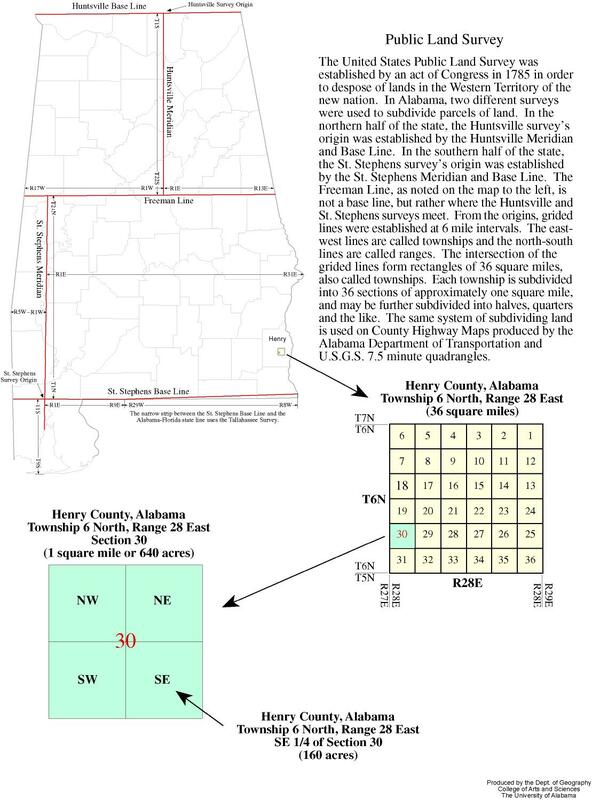 An explanation of township and range. 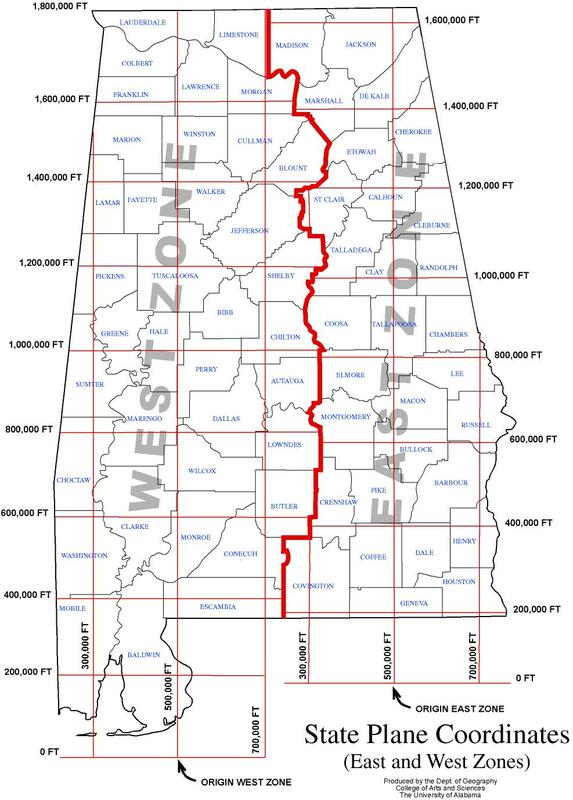 State Plane Coordinates, East and West zones. 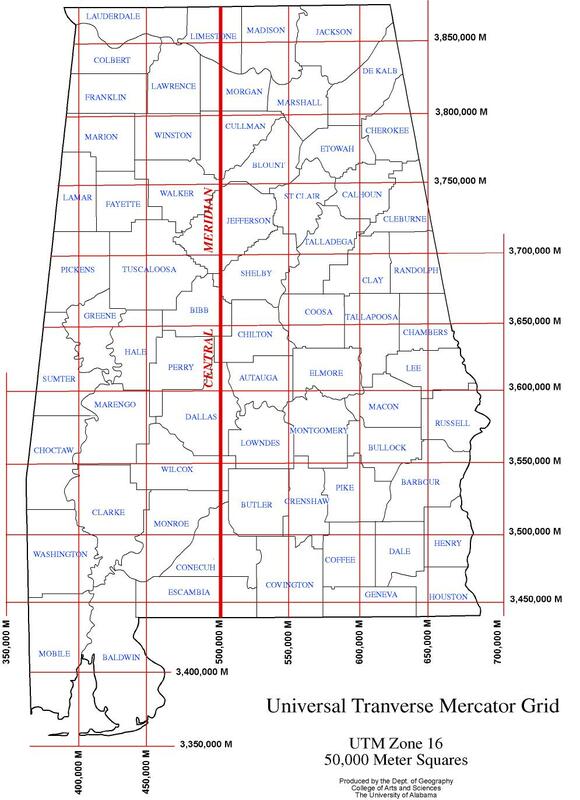 Universal Transverse Mercator Grid, UTM Zone 16 (50,000 Meter Squares). 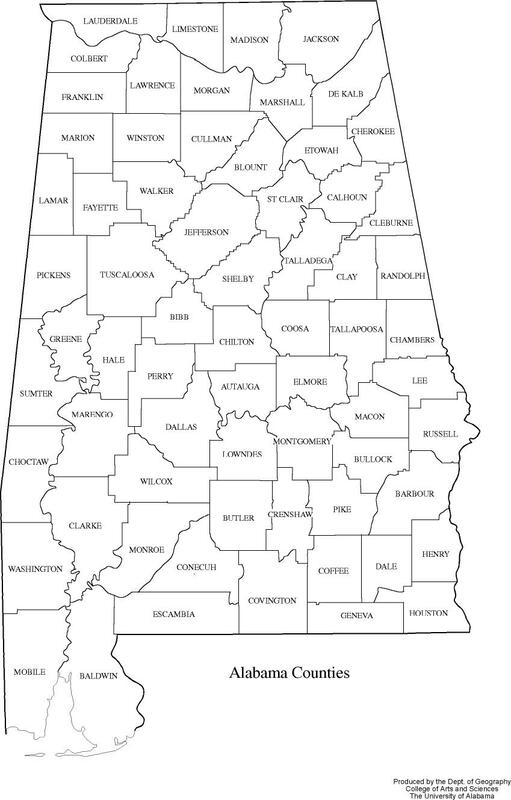 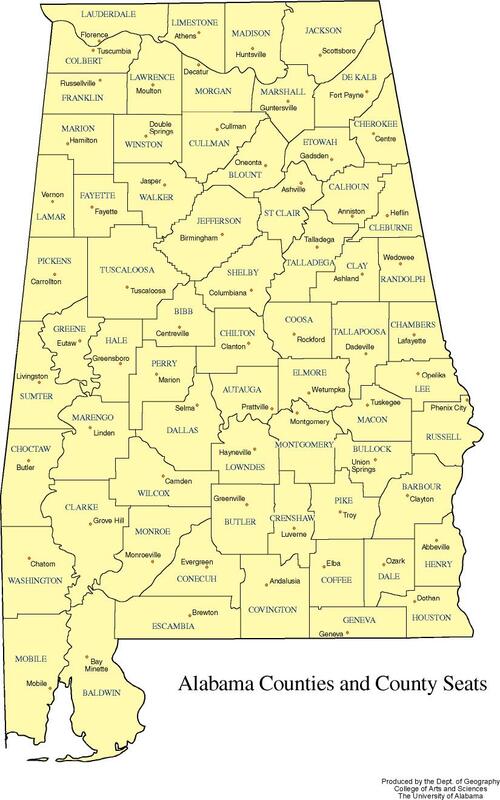 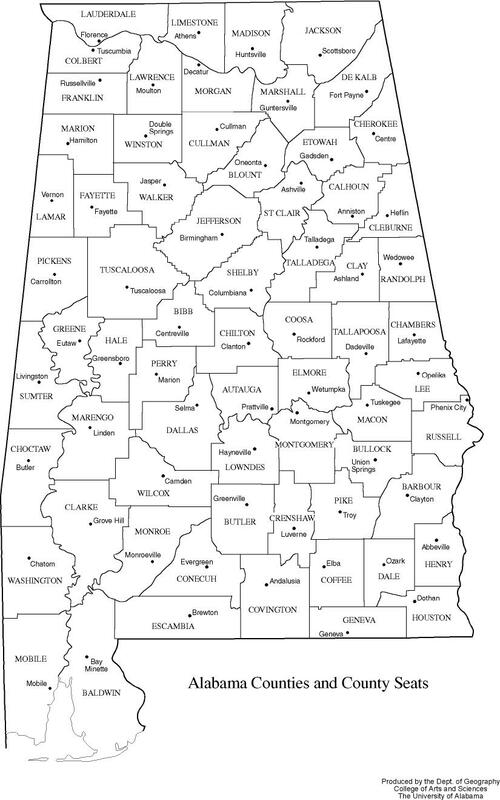 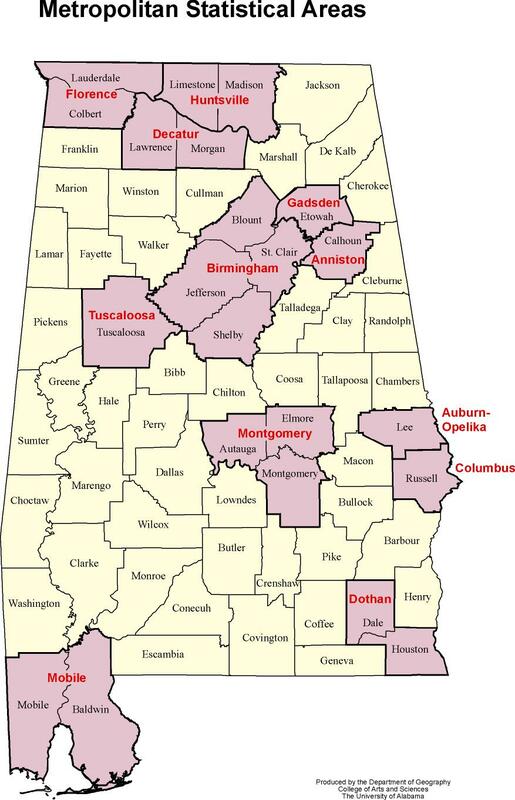 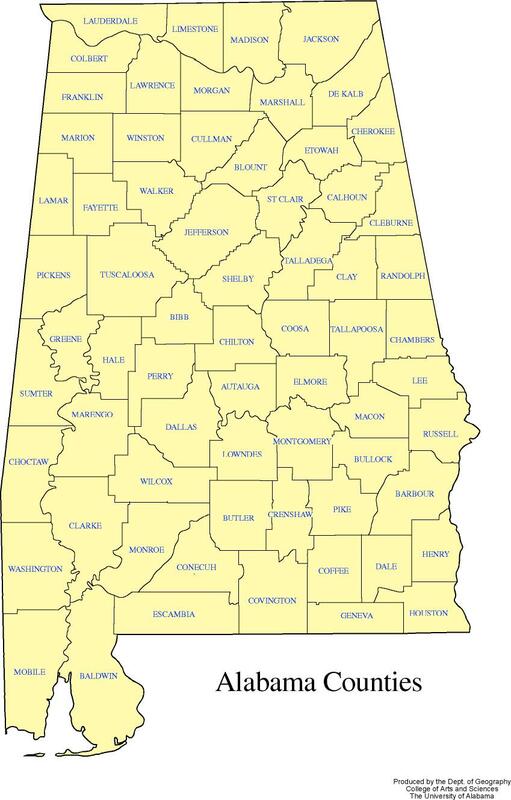 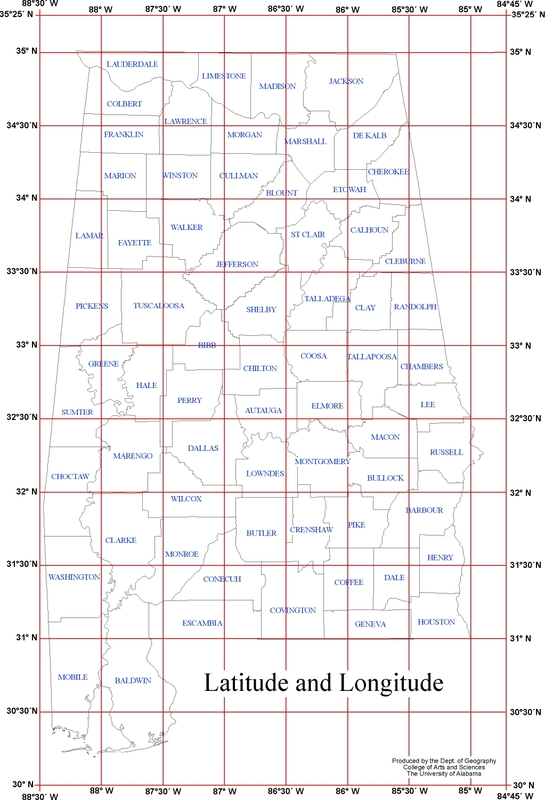 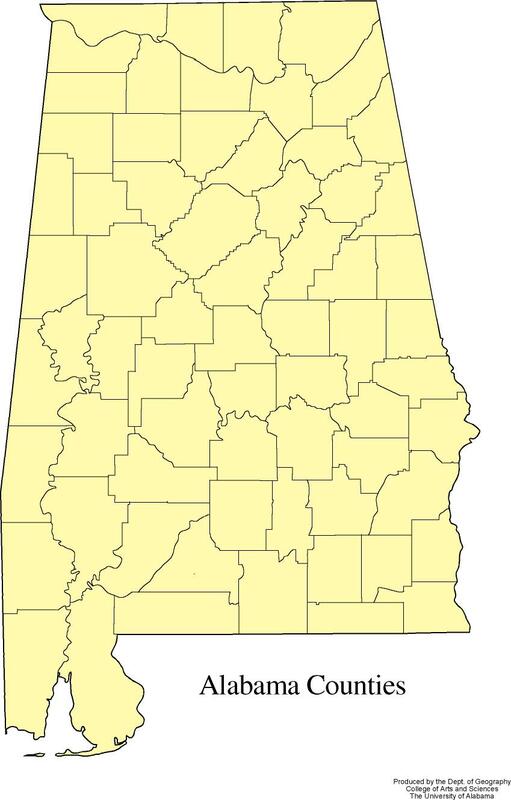 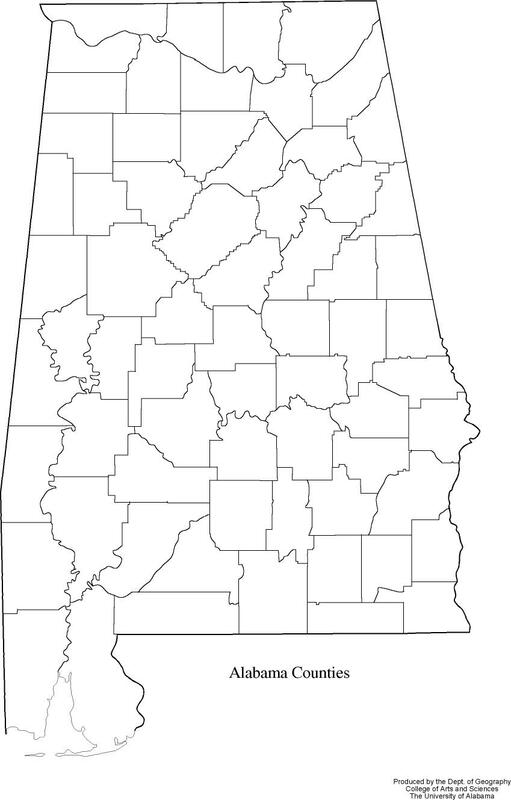 Latitude and longitude of the State of Alabama.